In the immediate post World War I era, Attorney General A. Mitchell Palmer was considering a bid to become the Democratic Presidential nominee in 1920 to succeed President Woodrow Wilson. To raise his profile, he claimed there was a massive wave of Socialists and Communists in America working to undermine the nation in the aftermath of the Russian Revolution of 1917. 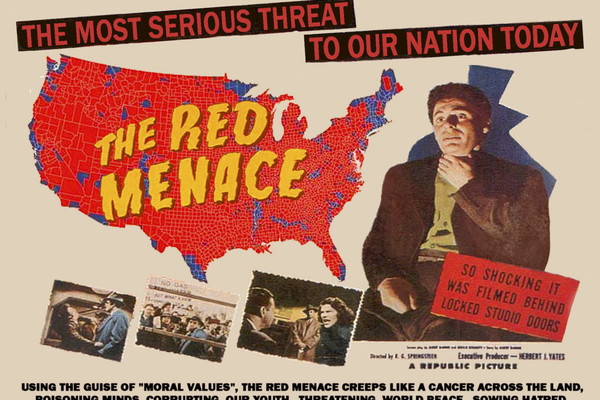 Palmer arrested and detained thousands of suspected radicals as part of the Red Scare. Many people were detained for months without trial or protection of their basic constitutional rights, until some were deported and others were released without charges.